The switchgear panels integrate the control, measurement equipment and protection relays, busbars, current and voltage transformers, and the corresponding circuit breaker, mounted on a metal structure with one (metal enclosed) or more partitions (metal clad) where the different equipment are located. They are typical in medium voltage power systems and in GIS (gas-insulated switchgear) installations. The basic functions of the switchgear are electrical protection, isolation and control. The satisfactory operation of the power system depends on reliable switchgear, thus making switchgear testing essential to ensure the proper working of all the components and their joint operation. General type and routine MV switchgear testing in factory verify the proper functioning, but they also require on-site testing during installation and commissioning and periodic maintenance switchgear testing over time to prevent failures. A malfunctioning breaker not opening during an overload or short circuit can cause considerable damage and expenses. Circuit breakers and switchgears need routine maintenance and testing to be sure that they will function reliably. Switchgear must interrupt fault currents several times the rated current, so that simulation of the fault conditions through primary injection is required in switchgear testing for both the breaker and the whole assembly performance. The Raptor System is a revolutionary digital primary injection system for switchgear testing and checking circuit breakers of any range on site, the first non-variac system, providing an ease of use never seen before. 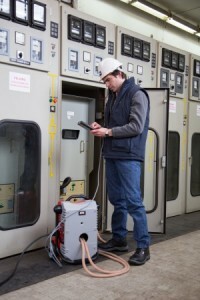 The primary injection in switchgear testing has had traditionally many problems such as test equipment of big size and weight to get high currents, not accurate testing process due to variac transformer use, not automatic current regulation, user´s choice limited to initial power required, no storage and reporting, etc. 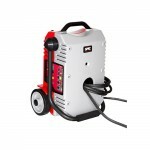 All these drawbacks have been solved in the RAPTOR System, drastically improving the existing switchgear testing way in the market, and establishing a new standard of primary injection equipment. The incredibly small size and weight of the Raptor System allows the portability required for switchgear testing, being possible to place the test set closer to the switchgear panel or to breaker, and reduce the power required. 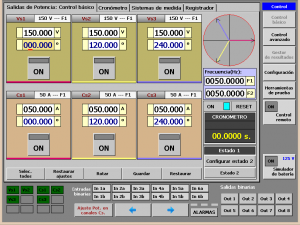 A small handheld control console allows the user to fully monitor and control all the switchgear testing process. The RAPTOR includes automatic regulation of the magnitude injected, being stable regardless of the load changes. The slow and not precise process of manual search for a desired value is not needed anymore… just select your current value and inject. 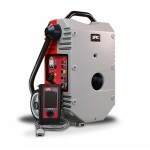 The Raptor is a modular system, not limiting the initial user choice, adaptable to the different power requirements in switchgear testing with instant combination of units by infrared and revolutionary loop-through concept, providing the highest level of injection capability up to 15,000 A and 2,000 V.
Current and voltage transformers must also be checked during the switchgear testing. The Raptor is multifunctional, including several test templates and automatic functions for CT and VT testing, such as the checking of the CT/VT ratio, burden, polarity, phase angle error, knee point /magnetization curve, and withstand voltage testing. In switchgear testing is important to check the CT ratio error and phase angle at different primary currents, as higher as possible including the nominal, which is eased by the high primary injection capability of the Raptor. The measurement of contact resistance in breakers, busbars joints and critical connections is another common procedure in switchgear testing. Our new PRIME micro-ohmmeter combines both static and dynamic resistance measurements, as it is essential for assessing the actual condition of the contacts in inaccessible SF or vacuum chambers. PRIME 600 provides true pure DC with smart and easy control up to 600A, including Dual Ground, and wireless remote control. Trip and close times and synchronism of the circuit breaker poles are also commonly checked during the MV switchgear testing. 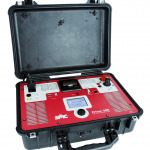 The circuit breaker analyzer PME-500-TR includes the required functions to evaluate the condition of the breaker in an easy to use instrument which also integrates the simultaneous 3-phase contact resistance measurement, reducing the testing time. Operational tests of the protection relays are also performed during the switchgear testing, so that reliability deficiencies are discovered before any malfunction arises. SMC offers the widest range of single and 3-phase secondary injection solutions to cover the diversity of applications in switchgear testing. 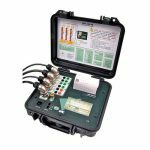 The MENTOR 12 is a universal secondary injection test set, PC independent, with easy and intuitive touch-screen, modular concept up to 12 channels, advanced built-in test tools, and lower maintenance. The quick and complete manual control of the Mentor 12 speeds the time required in the switchgear testing with protection relays. 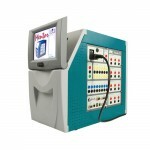 It also integrates many useful test functions for switchgear testing, without the need of external PC, such as State Sequencer, Fault, Ramping, Pulse Ramps, Binary Search, COMTRADE playback, and on screen direct regulation of complex magnitudes (impedance, power, symmetrical components, homopolar Voltage, etc). For more information, please check the related switchgear testing products or contact SMC.